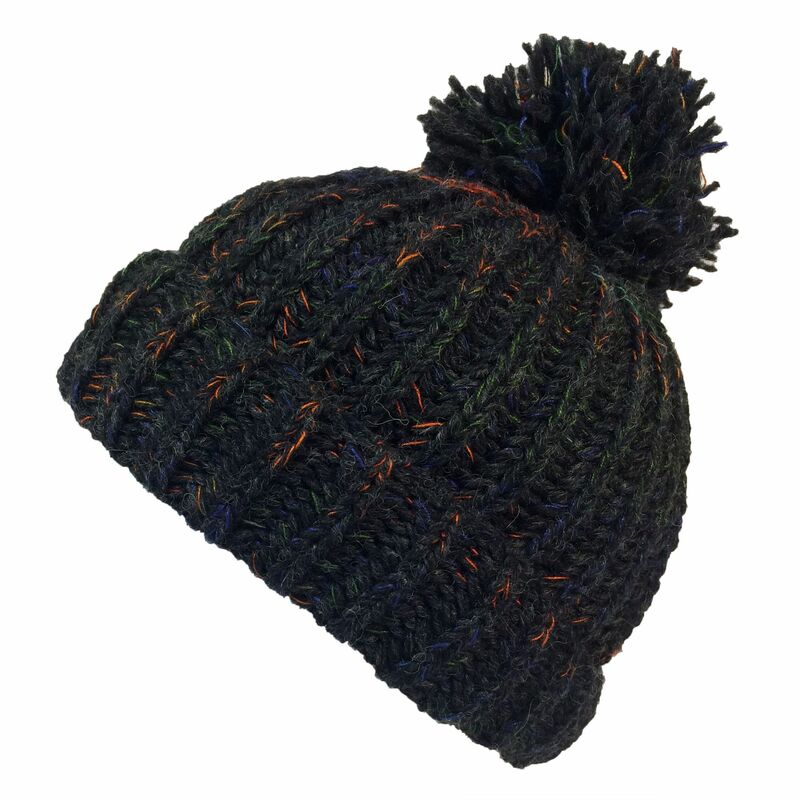 This fab hat is one size (ages 7 upwards) made from soft wool with a cosy fleece lining and large bobble. 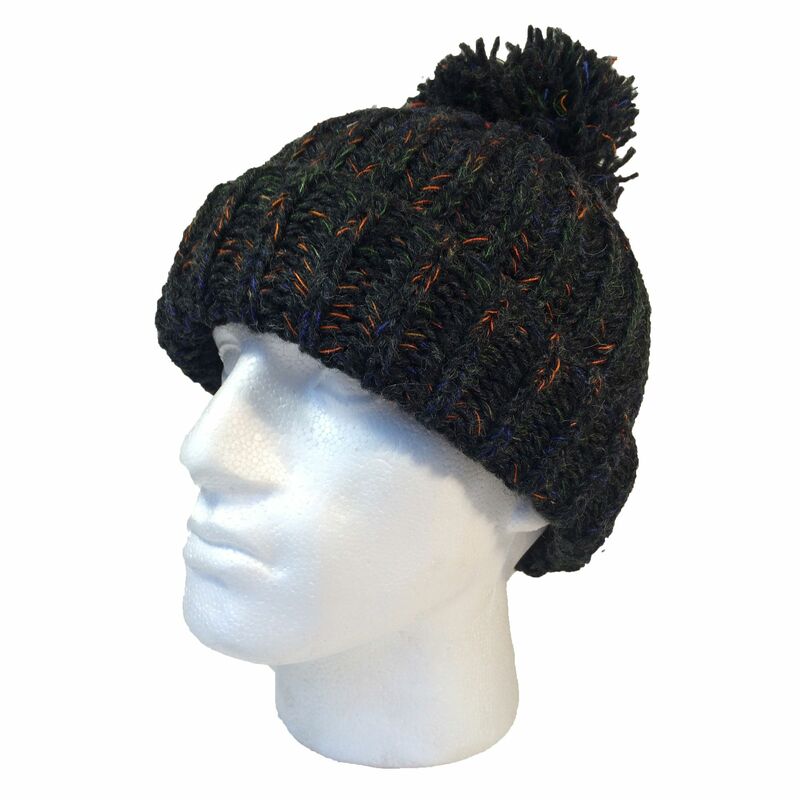 It has flecks of blue, orange and green within the wool mix. 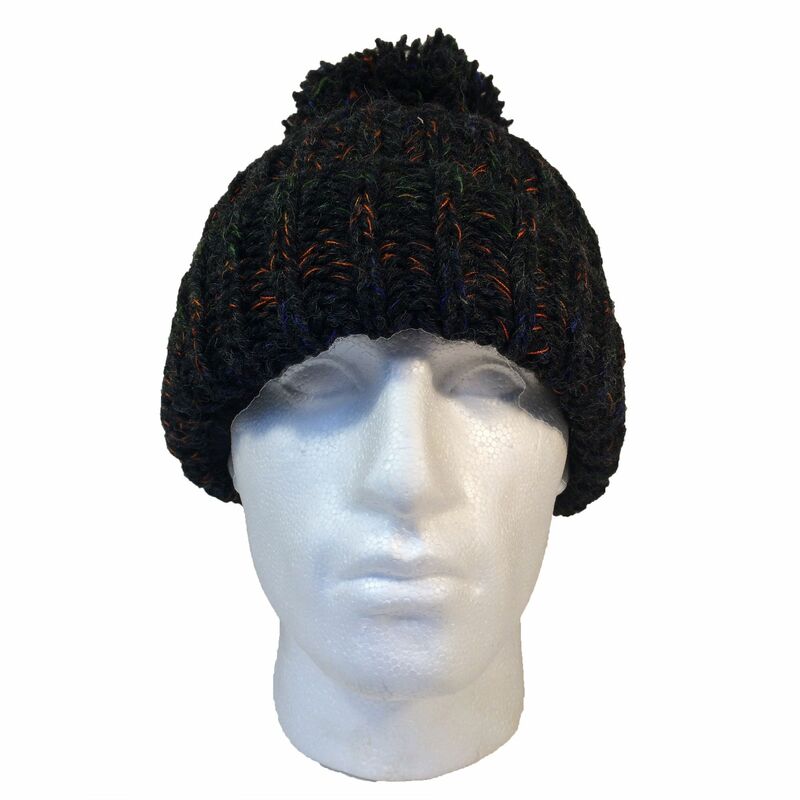 The hats have been made in Nepal by our fair trade manufacturer.